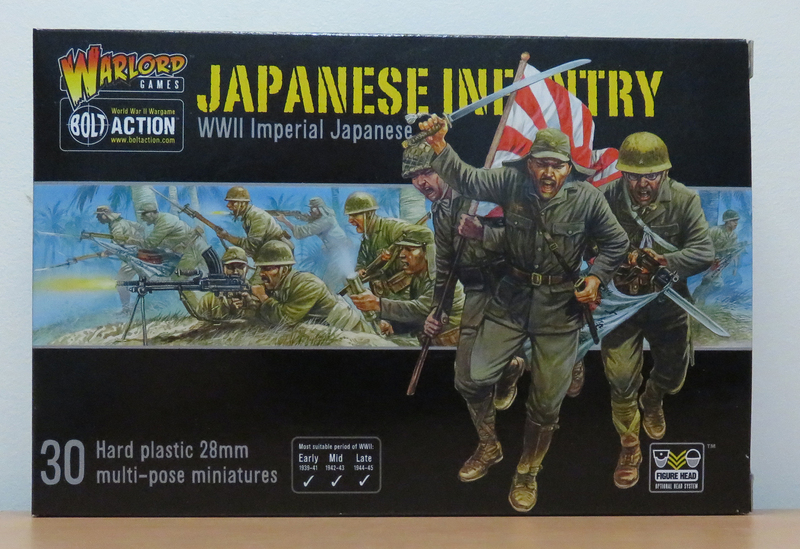 Bolt Action – Japanese InfantryThought of as invincible by the Allied forces in the early stages of World War II, the Japanese soldier was a brave, disciplined, often fanatical, warrior who fought to the death – sometimes against overwhelming odds. Conquering all before them and carving out a vast Empire during the opening stages of the war the Imperial Japanese Army were truly a force to be reckoned with.This plastic box set contains enough parts to make 30 plastic Japanese infantry armed with: Arisaka rifle Light ‘knee’ mortar Hand grenades Type 99 Light machine gun (and bayonet!) Type 14 Nambu pistol Flag pole NCO’s Shin Gunto sword Anti-tank lunge mine Arisaka rifle with bayonet Type 100 sub-machine gunPlus lots of accessories including a bugle and full-colour devotional banner and flag sheet!